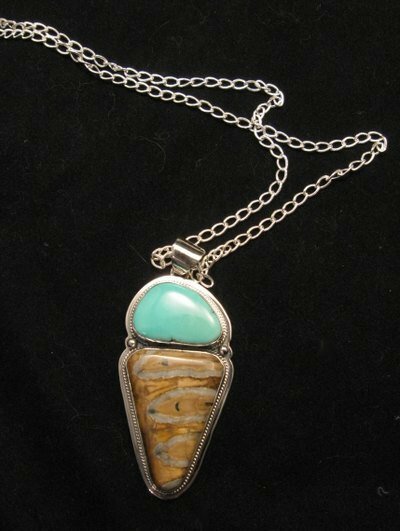 This unusual Native American handcrafted Mammoth Tooth and natural Sierra Nevada Turquoise sterling silver pendant was created by Navajo Lucy (Valencia) Jake. 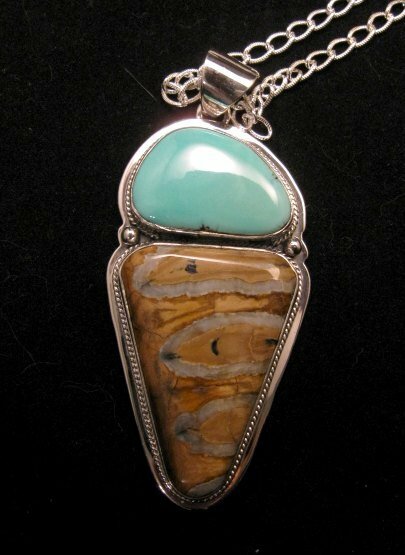 I have just recently found several Navajo artists who are using Mammoth teeth in their jewelry and the results are amazing. When the ancient teeth are cut and polished they reveal fantastic patterns of colors and each piece is different. Mammoths lived from 120,000 to 4,000 years ago. Their teeth were hard as rocks and have survived since prehistoric times. The Mammoth Teeth are purchased from a company in Alaska. They find it and prepare it from fossils found in that area. The variety of colors present in each tooth are from the minerals leached from the surrounding rock and dirt. 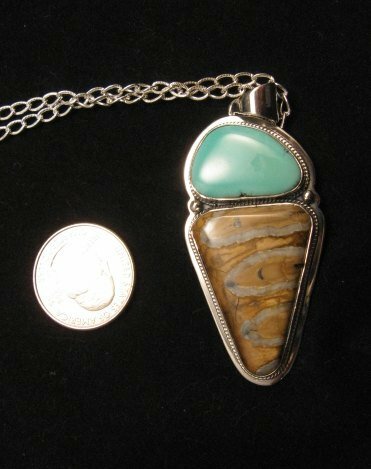 The pendant measures 2-5/8 inches long (including the bale) by 1-1/4 inch wide and weighs 22.5 grams. The bale can handle a chain up to 1/4 inch. A lovely 18-inch long 1/8 inch wide sterling silver chain is included with the pendant. Brand new and in perfect condition. Gift Box and Certificate of Authenticity included. 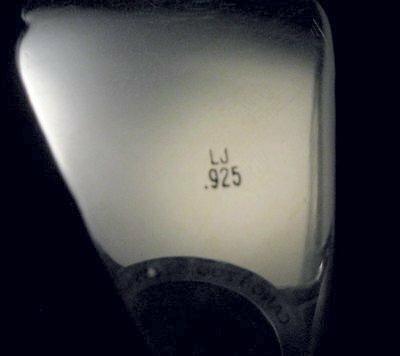 Hallmarked by the artist Lucy Jake.